Nancy Jo Durbin Maples, age 79 of Oakland, Illinois passed away at 5:50 a.m. on September 9, 2018 at Sarah Bush Lincoln Health Center. Nancy was born to Lucian Durbin and Margaret Baker Durbin of McLean, Illinois on January 7, 1940. Nancy married Harold Maples on July 15, 1960 in Eureka, Illinois. They were married for 58 years. Survivors include her husband: Harold Maples of Oakland, Illinois; three children: William Maples, Michael Maples, and Regina Hays; her grandchildren: Katie Harris, William (Billy) Maples Jr., Melinda Gano, Michael Maples Jr., and Mark Maples; a sister-in-law Caroline Durbin; and several nieces and nephews. She was preceded in death by her parents, her brother, and two sisters. In accordance with Nancy’s wishes. there will be no visitation or services and she will be cremated. 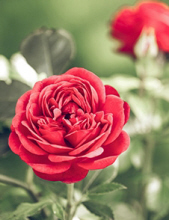 To send flowers or a remembrance gift to the family of Nancy Jo Durbin Maples, please visit our Tribute Store. "Email Address" would like to share the life celebration of Nancy Jo Durbin Maples. Click on the "link" to go to share a favorite memory or leave a condolence message for the family.